PSP is very fortunate to have three talented photographers in Daniel Gajdamowicz (who also does PSP’s video pieces), Earl Gardner, and Paul Rudderow. Here’s a look back at 2014, as seen through their lenses. 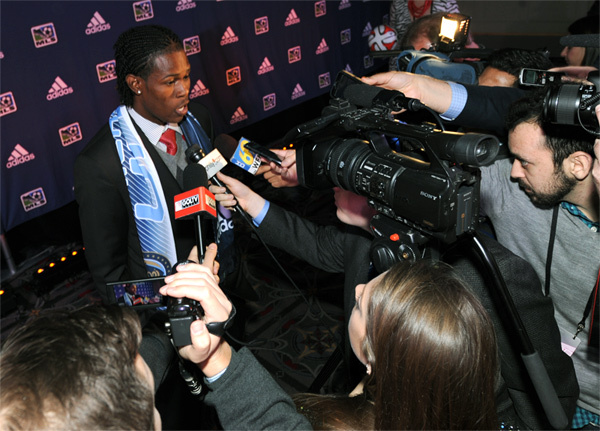 The Philadelphia Union turned heads when they traded up to select Andre Blake with the first pick of the 2014 SuperDraft, which was held in Philadelphia on January 16. Photo: Earl Gardner. 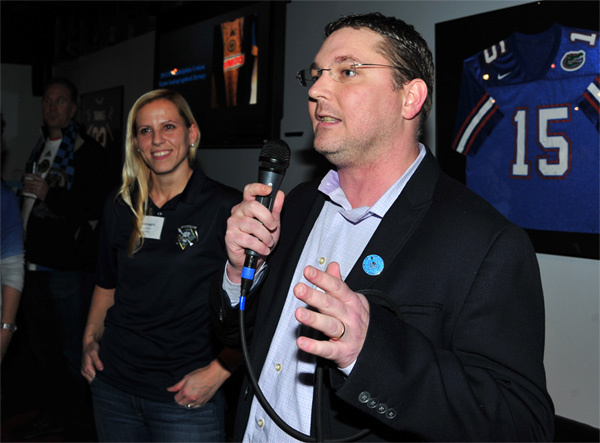 Sons of Ben president Kenny Hanson welcomes everyone to the Sons of Ben’s Help Kick Hunger charity event on January 18. With Hanson is SoB event director Ami Oristaglio. Photo: Earl Gardner. January closed with a training session at YSC Sports that was open to Union fans. Photo: Earl Gardner. 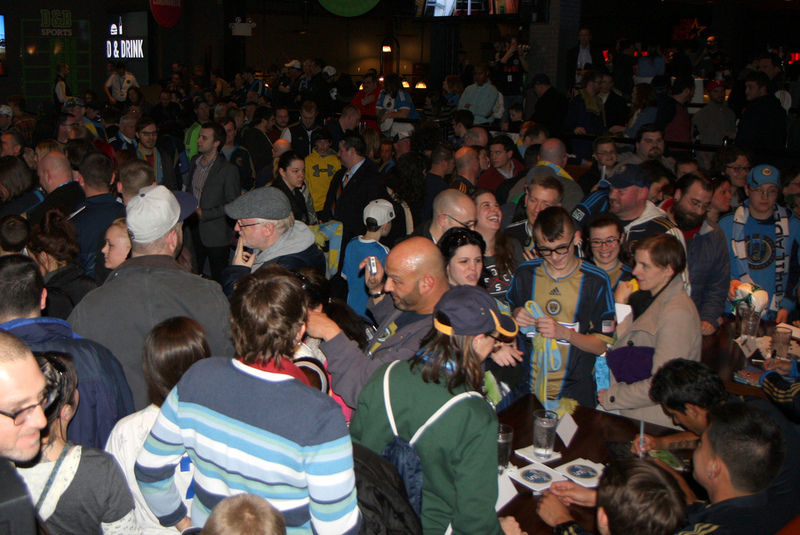 A massive crowd was on hand at Dave and Busters for the Meet the Team event just before the start of the Union’s season in Portland. Photo: Paul Rudderow. A glorious day at PPL Park for the home opener against New England. Photo: Earl Gardner. 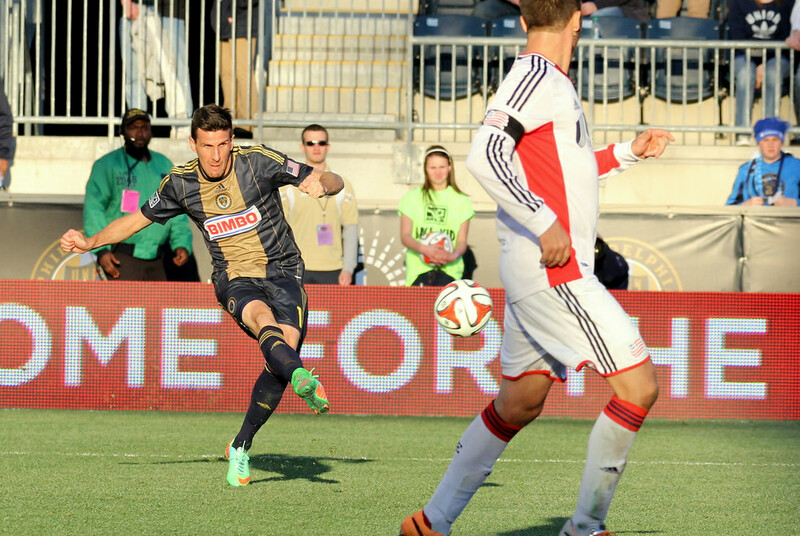 The Union were the 1-0 winners, courtesy of Sebastien Le Toux’s 31st minute goal. Photo: Paul Rudderow. Vincent Nogueira scored his first MLS goal in the second home game, but the Union had to settle for a 1-1 draw after conceding a late equalizer to Montreal. The Union finished out March with a 1-1-2 record. Photo: Daniel Gajdamowicz. 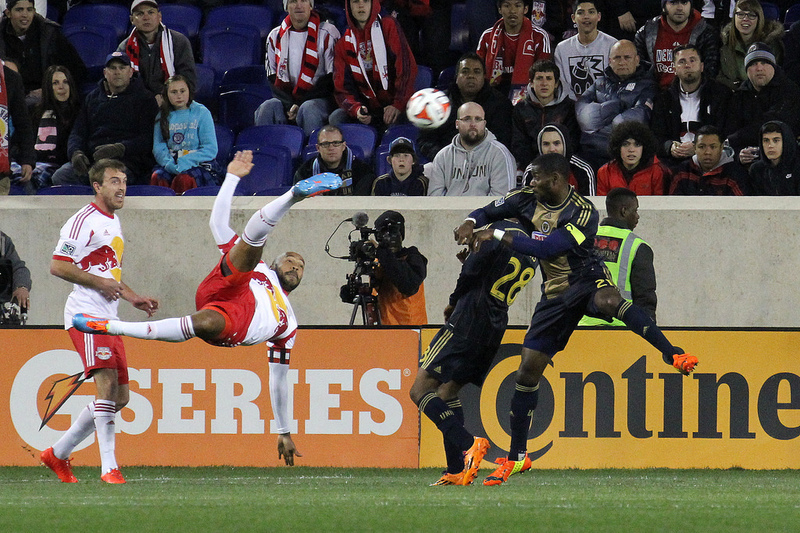 Next up was a trip to Red Bull Arena, where the Union fell, 2-1. Photo: Paul Rudderow. 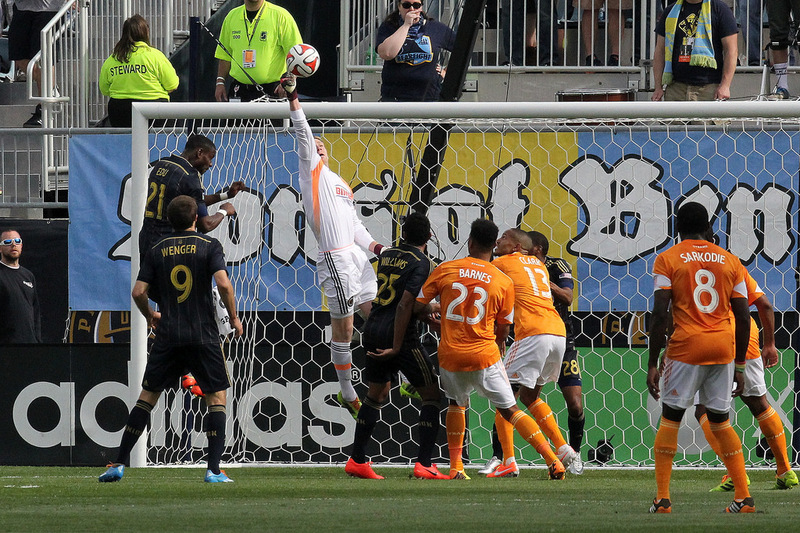 Zac MacMath punches one clear in the scoreless draw with Houston. 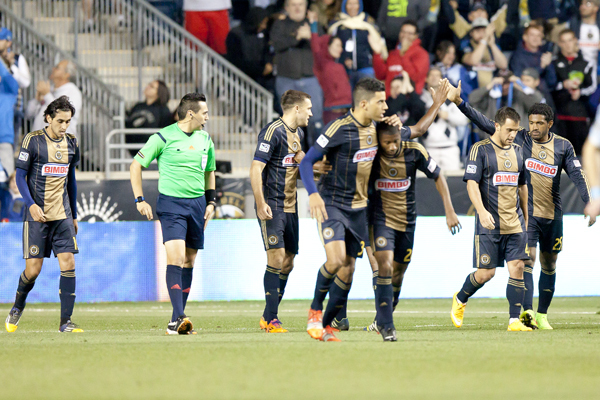 The Union would close out April with a 1-0 loss in Montreal to give them a 1-3-5 record. Photo: Paul Rudderow. 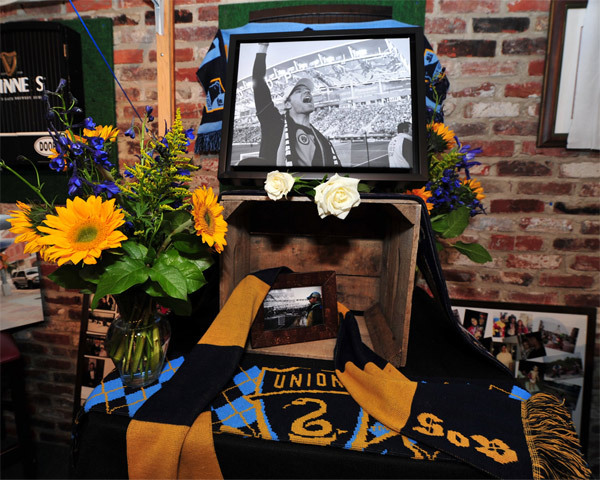 April ended with the Union community mourning the untimely passing of Eric Shertz. Photo: Earl Gardner. US Open Cup play began in May. 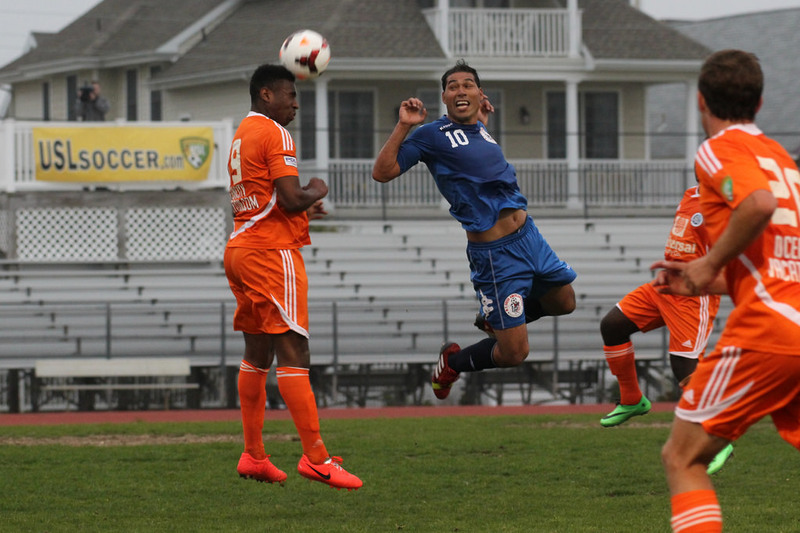 Ocean City Nor’easters fell 2-0 at home to New York Greek American Atlas. Photo: Paul Rudderow. 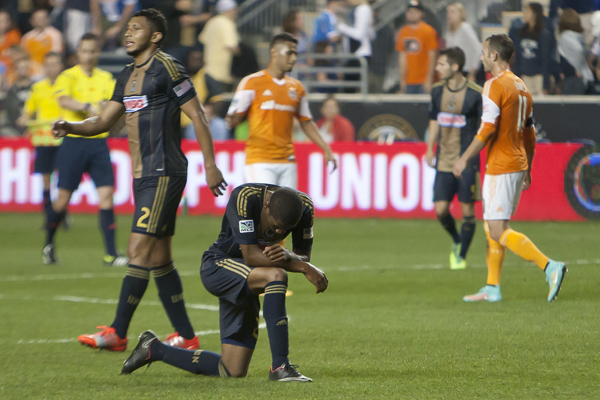 After defeating Kansas City 2-1 on the road, the Union suffered a humiliating 5-3 loss at home to New England. A 4-1 road loss to LA followed, with a 3-0 win over Chivas USA after that, and the Union finished May with a 3-7-5 record. Photo: Earl Gardner. June opened with PPL Park hosting two pre-World Cup friendlies. 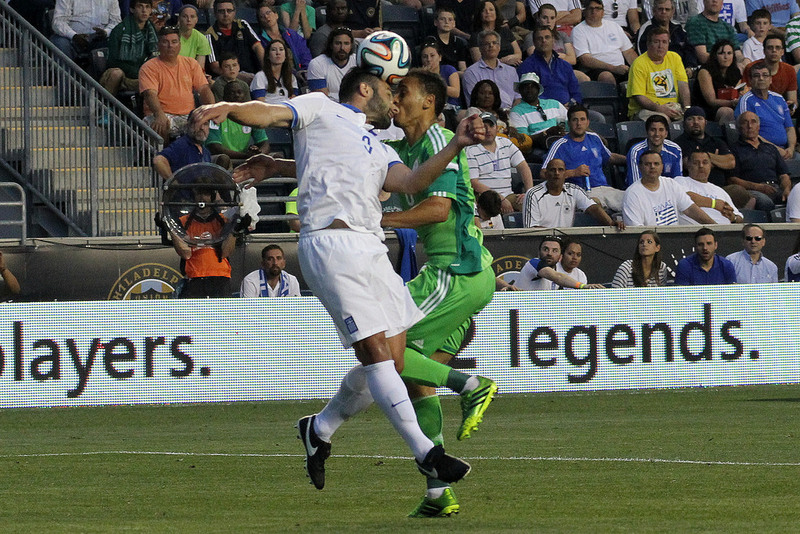 Greece and Nigeria played to a 0-0 draw, and Costa Rica and Ireland finished level at 1-1. Photo: Paul Rudderow. Conor Casey led the fightback against Vancouver in the last game before the World Cup break. Down 2-0 at the half, the Union clawed back for the lead with three goals in eight minutes only to concede a penalty kick in the 81st minute for a 3-3 draw. John Hackworth was fired three days later with the Union’s record at 3-7-6. Photo: Paul Rudderow. The Jim Curtin era began during the World Cup break with a US Open Cup match against Harrisburg City Islanders. A Maurice Edu equalizer in the 89th minute sent the game to extra time where two Andrew Wenger goals would give the Union a 3-1 win. Photo: Paul Rudderow. 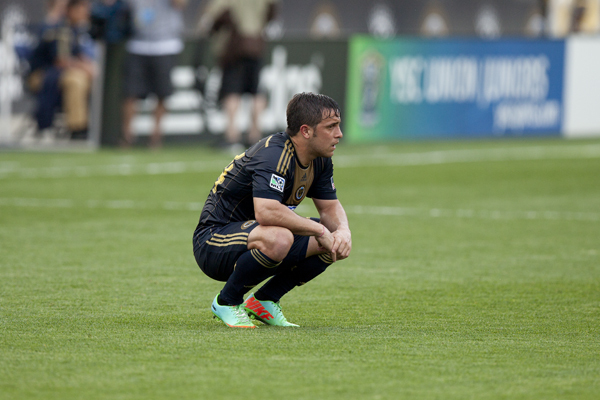 Against New York Cosmos in the next round of the US Open Cup, the Union again came from behind to win. Sebastien Le Toux equalized a minute after the Cosmos took the 1-0 lead in the second half before scoring from the spot in extra time to give the Union the 2-1 win. Photo: Paul Rudderow. After defeating New England 3-1 on the road in league play following the conclusion of the World Cup break, the Union fell 2-1 on the road to Dallas. 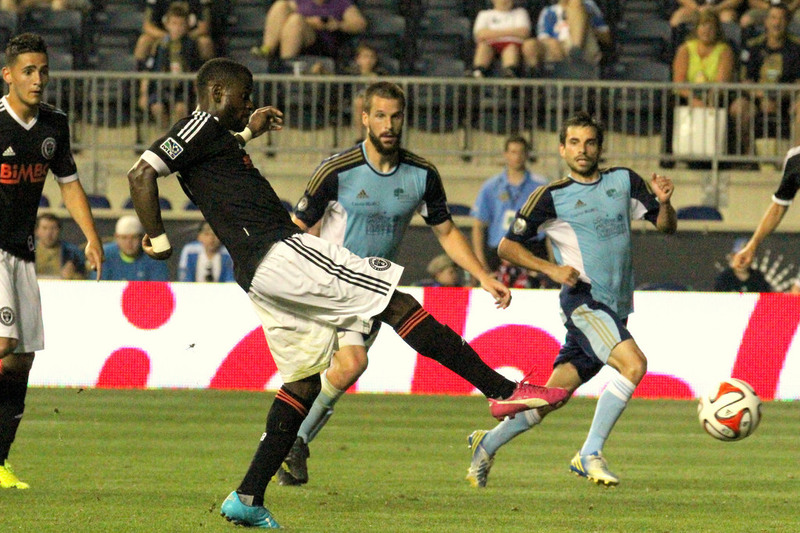 Returning home to PPL Park, the Union defeated New England 2-0 in the US Open Cup quarterfinals. Leading 3-1 with 16 minutes left at home against Colorado, the Union conceded in the 79th and 86th minutes for a 3-3 draw. Photo: Daniel Gajdamowicz. 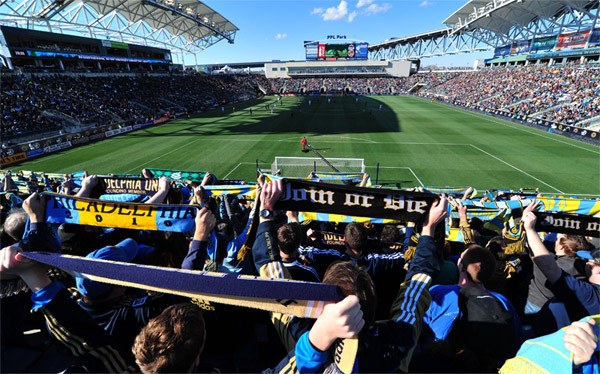 After the draw with Colorado, the Casa League’s Kelly Cup final was played at PPL Park for the first time. Levin’s Minions defeated KS Cracovia on penalty kicks. Photo: Paul Rudderow. Next up at PPL Park was New York Red Bulls. After Casey scored in the ninth minute, goals from Fred and Le Toux were added for the 3-1 win. Photo: Earl Gardner. After drawing 1-1 in Chicago to finish July with a 5-8-8 record, the Union returned home to host Premier League side Crystal Palace in a friendly, losing 1-0. Photo: Paul Rudderow. 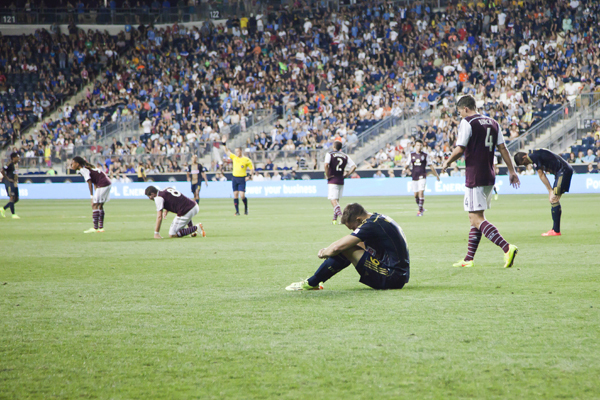 The Union began August with a 1-1 draw in Kansas City. A few days later back in Philadelphia, Inter defeated Roma 2-0 in Guinness International Champions Cup play at the Linc. Photo: Paul Rudderow. 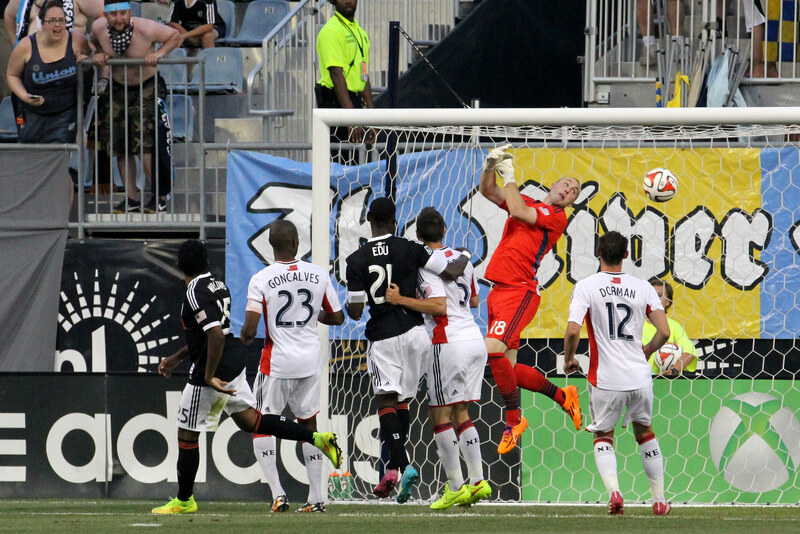 The Union then defeated Montreal 2-1 at home with Le Toux scoring a brace. Photo: Paul Rudderow. 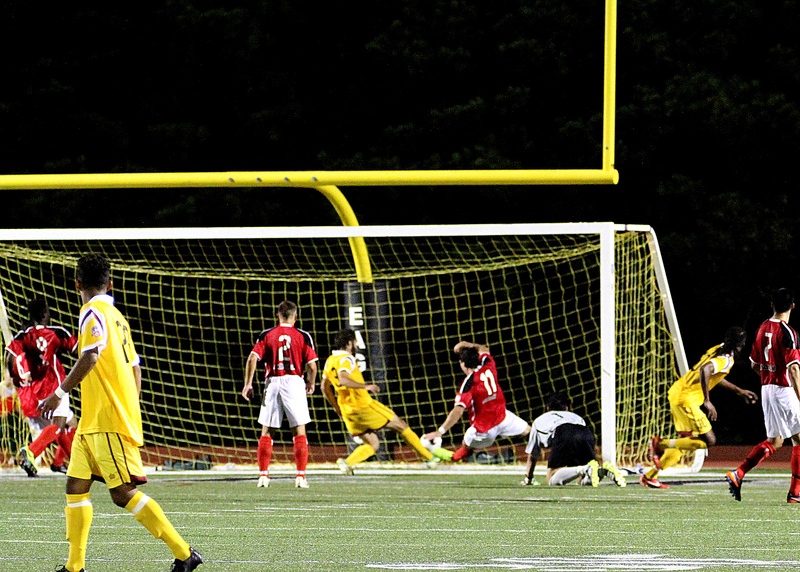 The inaugural American Soccer League game between Philadelphia Fury and AC Crusaders was a wild affair with the Fury equalizing in the 91st minute before Crusaders scored in the 95th minute for the 6-5 win. Photo: Paul Rudderow. 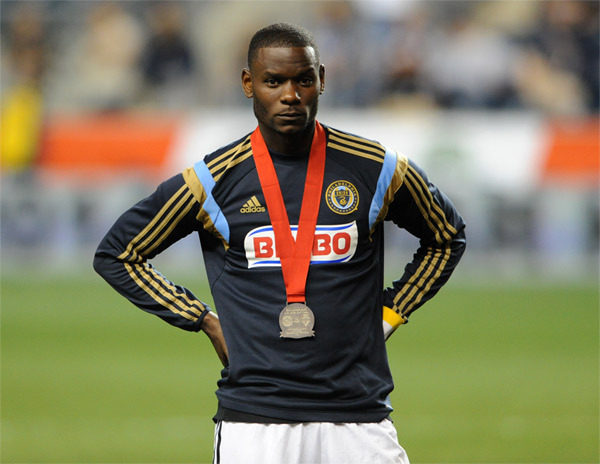 After a dramatic US Open Cup semifinal win against Dallas on penalty kicks that included two PK stops from Zac MacMath, Andre Blake was in goal as the Union fell 2-1 on the road to Houston three days later. 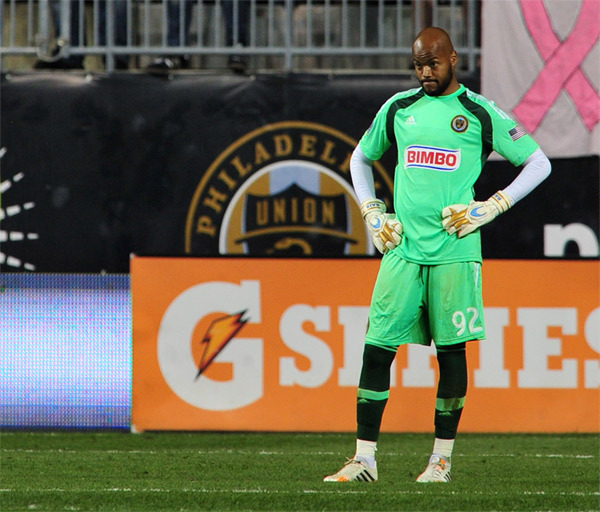 The next week, Rais Mbolhi got his first Union start in the 4-2 win over San Jose. Photo: Daniel Gajdamowicz. 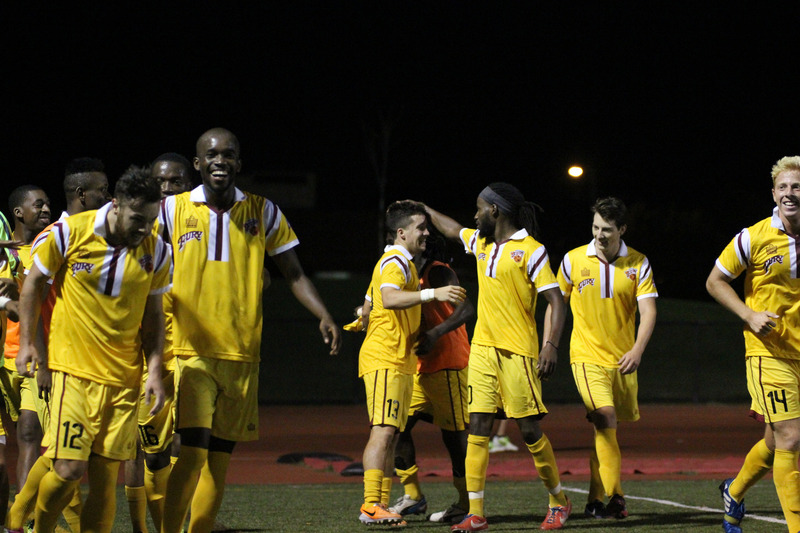 Philadelphia Fury defeated Icon FC 1-0 in their home opener. Photo: Paul Rudderow. 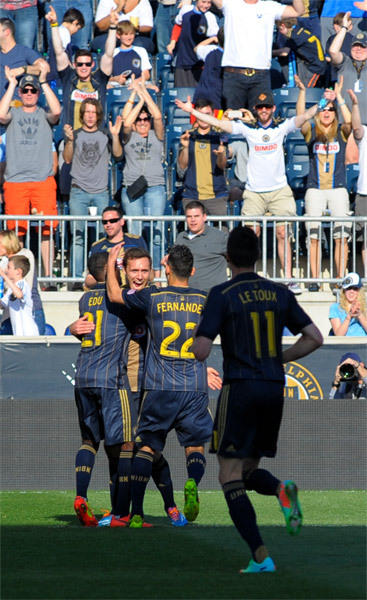 The Union opened September with a 7-9-9 record, facing Toronto home and away in the span of three days. 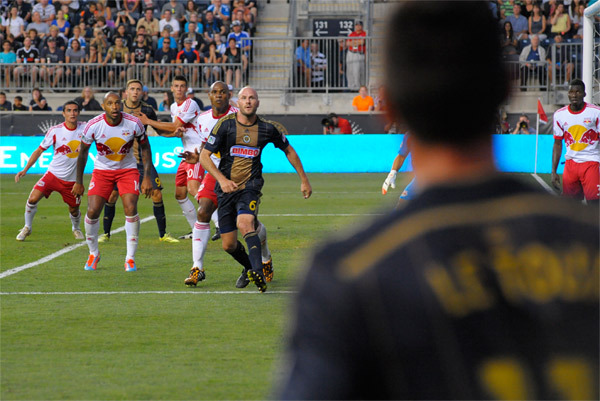 Casey scored to give the Union the 1-0 win at home, scoring again along with Wenger for the 2-0 win in Toronto. Photo: Earl Gardner. Heavy rains resulted in a delay to the start of the home game against New York. 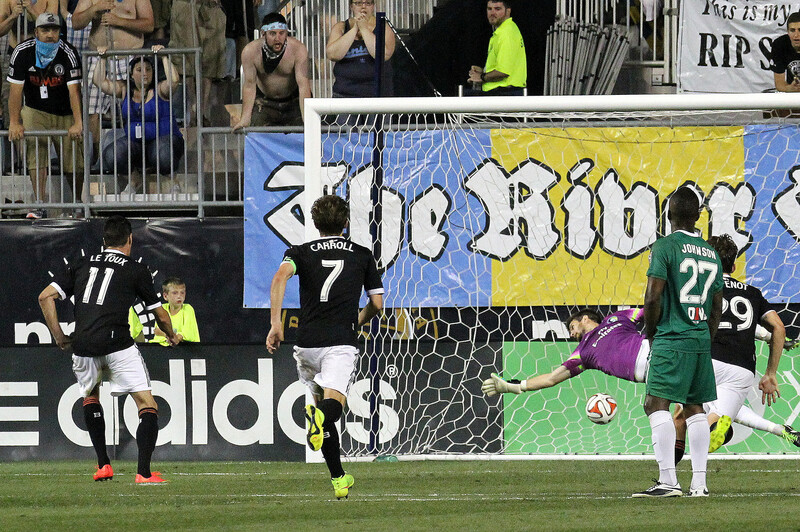 Down two goals, Pedro Ribeiro put the Union on the board just before the end of the first half. 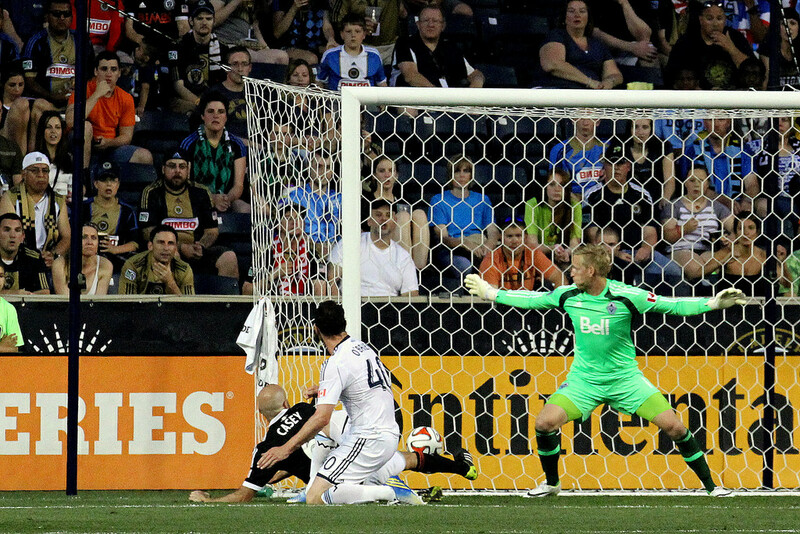 Le Toux scored the equalizer from the spot in the 92nd minute for a 2-2 draw. Photo: Paul Rudderow. Jubilation as Maurice Edu put the Union up 1-0 in the 38th minute in the US Open Cup Final against Seattle. Photo: Earl Gardner. A runners up medal is little consolation after the Union lost 3-1 in extra time. Photo: Earl Gardner. In a must-win game against Columbus, the Union scored twice within eight minutes in the second half before conceding three goals in four minutes to lose 3-2. Photo: Paul Rudderow. 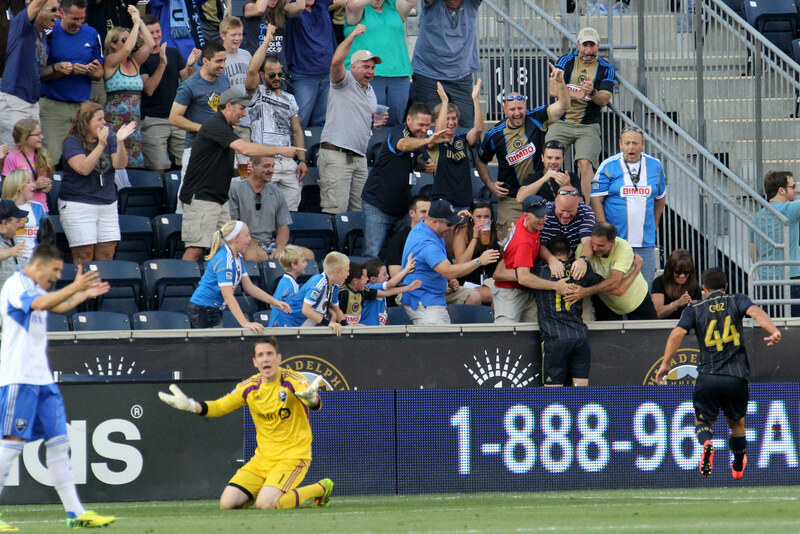 Their playoff hopes over, the Union finished the home season with a 2-1 win over Kansas City before losing 2-1 at Columbus in the final game of the season to finish 2014 with a 10-12-12 record. Photo: Daniel Gajdamowicz. 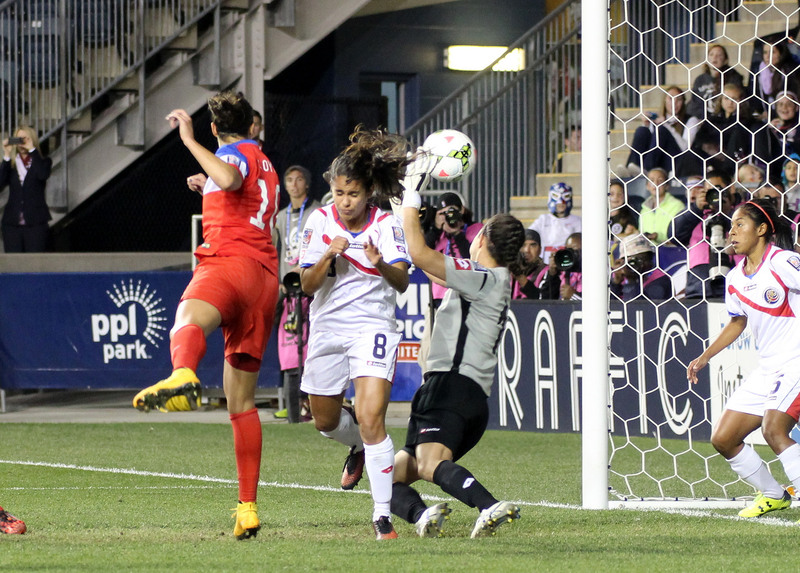 Ahead of the 2015 Women’s World Cup, PPL Park hosted the final games of the 2014 CONCACAF Women’s Championship at the end of October, which finished with a 6-0 win over Costa Rica in the championship game. Photo: Paul Rudderow. Jim Curtin was among those on hand as the Sons of Ben closed 2014 with another very successful Help Kick Hunger Charity event. Photo: Earl Gardner. Great photography guys! They two by Earl of Mo wearing the runner-up medal and Mbolhi after his gaff are great sports photos. They tell the story better than the action shots can sometimes. Keep ’em coming in 2015! Always look forward to the pictures on this site. Have checked out the individual pages for each of the photographers that contribute on a weekly basis. 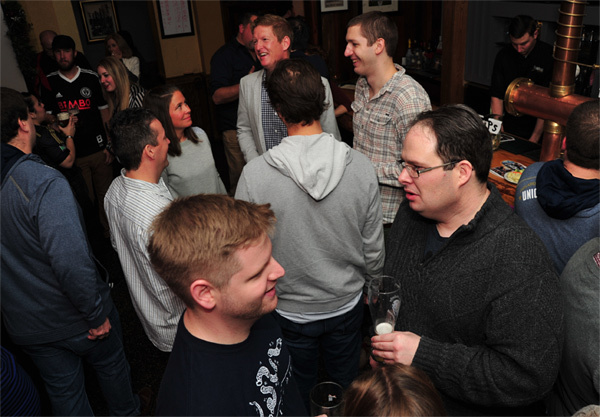 I’m always impressed with the quality and point of view…also slightly jealous! Happy 2015 to you all and everyone at PSP!